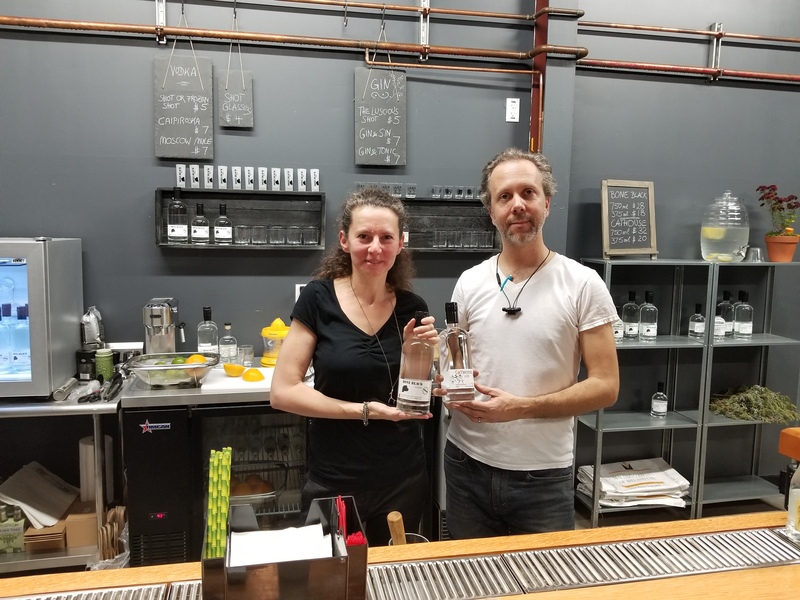 More than a year in the making, All Points West Distillery opened its doors in September 2017, making it perhaps the first legal distillery ever in the City of Newark. 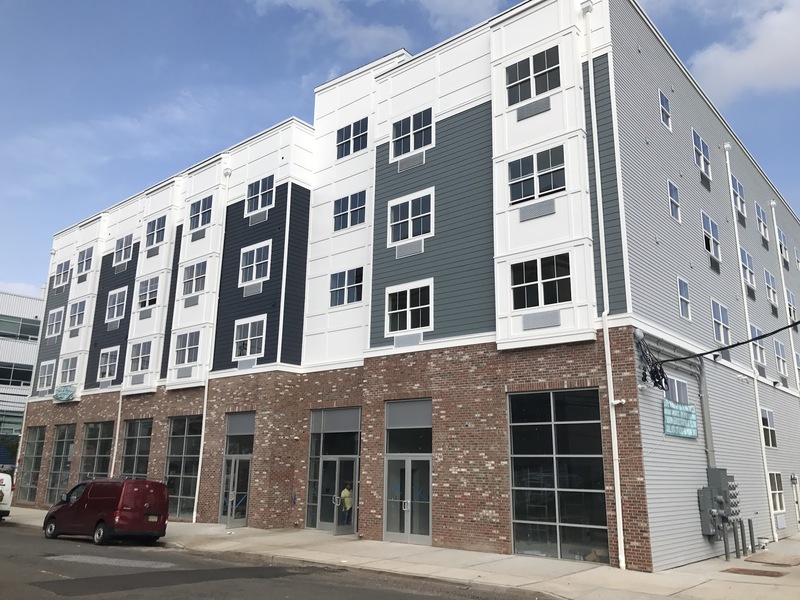 Housed in an industrial-looking building just under the train tracks in the Ironbound, near where New Jersey Railroad Avenue turns back into Mulberry Street, the bar beckons with a welcoming atmosphere. Founders Gil and Evelyn Spaier were quick to welcome guests as soon as they entered. With room for nine at the bar and music in the background, it’s the perfect intimate spot to unwind and enjoy great conversation. But how did it get here? It all started as a hobby—sort of. Gil enjoyed making bread in his free time, and to enable him to be more creative and make everything from scratch, Evelyn gave him a grain mill as a gift. This further influenced his passion for cereal grains, which led to his next endeavor: home brewing wheat beer. Still not satisfied, Gil wanted to continue learning about working with and creating from grains, and after years as a professional architect, he decided it was time for a change. 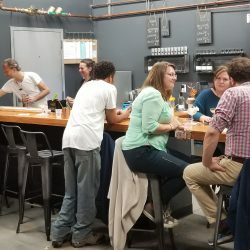 Here is where it got a bit more complicated, because distilling liquor without a license is a federal crime in the United States regardless of quantity, even if it is just for personal consumption. So what to do? Gil began attending distilling workshops as well as learning the process of obtaining a Federal Distilled Spirits Permit. After acquiring the license, getting approval from the city and finding a suitable location, All Points West Distillery was born. They offer a unique vodka in Bone Black Vodka, which is unlike any other vodka you’ve ever had. 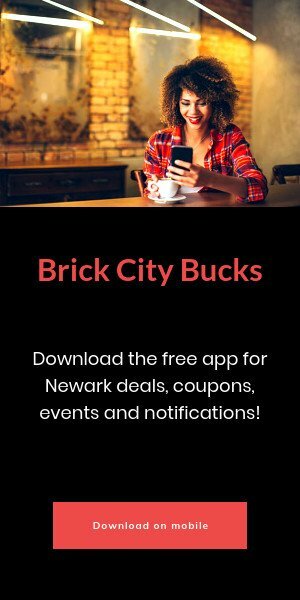 It is distilled using Newark’s famous water and filtered using coconut carbon as well as bone char, which allows more control over the flavor profile. The bone char filtering process enables more impurities to be removed, which retains the flavor of the vodka without a harsh aftertaste. Their other current offering is gin. Gil lived in New Orleans for eight years and fell in love with the spirit–his favorite drink is a Negroni. 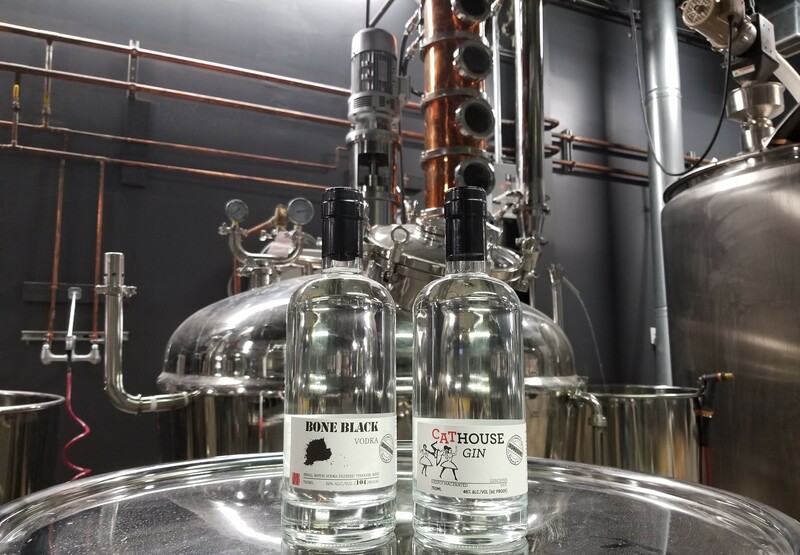 Enter Cathouse Gin, which is made with a traditional ratio of juniper and coriander, plus eleven other botanicals. “The craft distilling process can really shine with gin,” Gil told me.